He wasn’t in pain but hadn’t been eating and the large lump on his side was a concern. Someone suggested a visit to the doctor and after a visit and a few tests last week the dreaded news was delivered – he was riddled with cancer, to the point of no return and he has about two weeks to live. He was to go to the All Ireland hurling final with his son to watch his beloved Clare play Cork in the replay but he wasn’t well enough to travel. 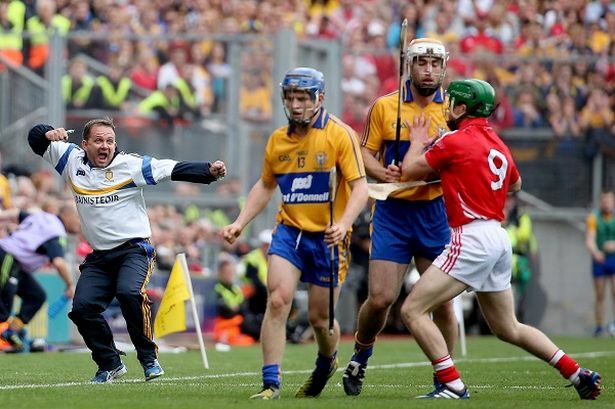 For one man, I’m really glad Clare won. For the rest of us, treasure every single day even the ones when our team lose. This entry was posted on September 29, 2013 at 9:38 am and is filed under Cork, Family, Parenting. You can follow any responses to this entry through the RSS 2.0 feed. You can leave a response, or trackback from your own site. Terrible, Greg. It’s awful the way life can be taken away from you so suddenly.